Traveling to China is like traveling to another world. Its many famous scenic attractions will captivate you with their distinctive charms. However, it is usually not enough for a traveler only to visit these scenic spots. If there is a chance to approach the local people, talk with them and even dine with a local family then that would add that extra something to the trip. 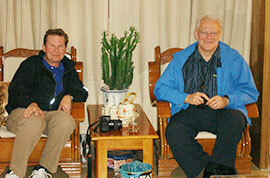 It would be a wonderful experience to know more about the local people's life style at home in China. 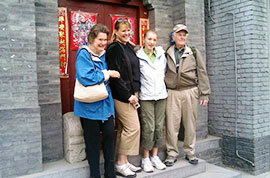 We will arrange a family visit in Xian, an ancient and historic city in China. We especially have chosen typical local families to host this activity in which you can see the true living standard of Chinese people. Some of the hosts are retired or have been made redundant, so they are happy for visitors from different countries to come to their homes. Not only can we arrange to visit the local family but also we can arrange to taste the true home cooked dishes in the home of the family that you visit. For in-homing dining, the host will prepare a list of menus in advance. You local guide will ask for your suggestions about the food arrangement, with which the host will try to cook what you want to eat when you go to their home. There is no extra charge for whichever you choose. Just enjoy the locally cooked dishes. It is quite a different and exciting experience. In addition if you are interested in learning to cook Chinese food, this is a good opportunity. 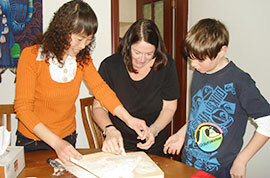 Many foreigners enjoy learning how to make Chinese dumplings. If you also want to learn, we can arrange this for you during the family visit. We also offer a general cooking class in the local family. If you would like to learn to cook one or two Chinese dishes, please go to our Chinese Food Cooking Class to choose your preferred dishes. Then, tell your travel counselor in advance or inform the local guide upon your arrival in Xian so that the host can prepare the ingredients beforehand. 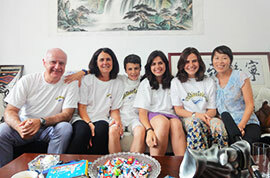 When you visit the family, your host will teach you step by step (with our guide as translator). You do not need to pay any fee for this. 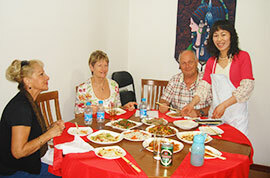 TravelChinaGuide offers this kind of service free of charge as we strive to provide you a memorable trip to China. We always try to arrange something special for our clients during their stay in China. We are sure that a Family Visit in Xian will be a good chance for our clients not only to get a glimpse of the city, but to get involved with our Chinese people's daily life. Welcome to China! What is the cost for visiting a family? The family visit is included in a city tour, i don't think it can be offered seperately. Are you staying only for, a day or are you staying for a night or two? 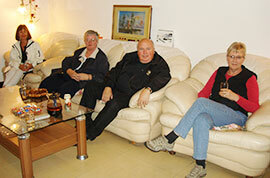 For family visit, you will stay there for couple of hours in the morning or at noon. Who should I contact to get more details about visiting a family in your country during our journey? Thank you! You may get more detailed info from the following website, and if you like, you can also contact this company for more details. Hometown address; Hubei province. Tiangmen sen. Mawan Zen. Hi, you could fly from Beijing to Wuhan first, then you could rent a car from Wuhan to Mawanzhen. Or you can also take a coach to Tianmen city then transfer from Tianmen city to Mawanzhen by another coach. As I know, there should be coach from Tianmen City to Mawanzhen, you'd better check it.